Find out what Tom Nook and his furry friends have in store for your mobile-sized town when Nintendo's Animal Crossing-focused Direct kicks off later tonight. A Nintendo Direct focused on Animal Crossing will kick off tonight at 11pm ET / 8pm PT, and will last around 15 minutes. The Direct will outline some of Nintendo's plans for a version of Animal Crossing tailored to iOS and Android devices. Nintendo revealed Animal Crossing for tablets and mobile devices last spring. At the same time, the developer announced that a Fire Emblem game was also in development for iOS and Android platforms. That title, Fire Emblem Heroes, debuted earlier this year. Animal Crossing fans have had to wait longer than expected for news of the mobile incarnation. After hiring additional staff to fill out mobile development team, Nintendo later delayed the game until Q1 of 2017. In late January, Nintendo's earning results made note that the game had been delayed a second time due to smartphone resources being channeled into Super Mario Run for Android. Tune in tonight at 11pm ET / 8pm PT for new details on Animal Crossing for mobile devices... or maybe another delay. Why the hell is this so late? Aaaaaaaand I missed it. Bah. leaf tickets will be purchasable or will this not have micro-transactions? 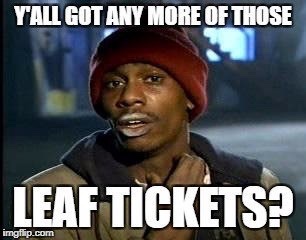 yeah they said you can buy leaf tickets with money. I'm fine with that as long as you can earn them at a reasonable pace as well.